← Del Palmer – new album Leap of Faith out now! 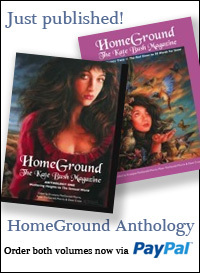 Kate’s work studied in new text book. Plus new Kate calendar. A very in-depth new book about Kate’s work and in particular the Hounds Of Love album has just been released by Ashgate publishing as part of their Popular and Folk Music Series. 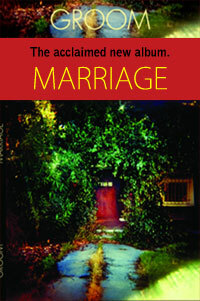 From the publishers: “The album allows the author, Ron Moy, the critical opportunity to explore a wide range of issues relating to technology, production, authorship, grain of the voice, iconography, critical and commercial impact, collaboration, gender, sexuality, narrative, and social and cultural context.” Ron Moy is a lecturer in the School of Media, Critical and Creative Arts, at Liverpool John Moores University, UK. As such this book presents a very academic text book approach to appraising Kate’s work – I haven’t yet seen a copy myself, but on reading the author’s introduction the book should be somewhat refreshing after the recent published biographies. And any book which ends with a closing section called “Coda: We Become Panoramic” is a tempting proposition for Aerial-era Kate fans! 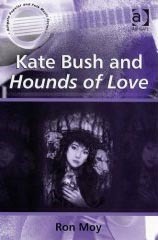 The book is called ‘Kate Bush and Hounds of Love’ and can be ordered at Amazon here. A new calendar featuring photos of Kate has just been issued. While this isn’t an official calendar release and won’t be featuring any new pics of Kate there will be demand from fans. David over at the KutureShock website is offering the calendar with free postage to UK fans from this site. 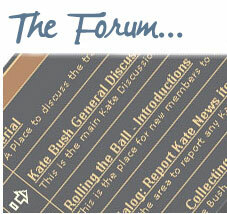 You just need to enter bush2008 in the coupon section at the checkout. You can order the calendar at this page here.